Prime Minister Narendra Modi has again made an effort to take India towards digital economy. 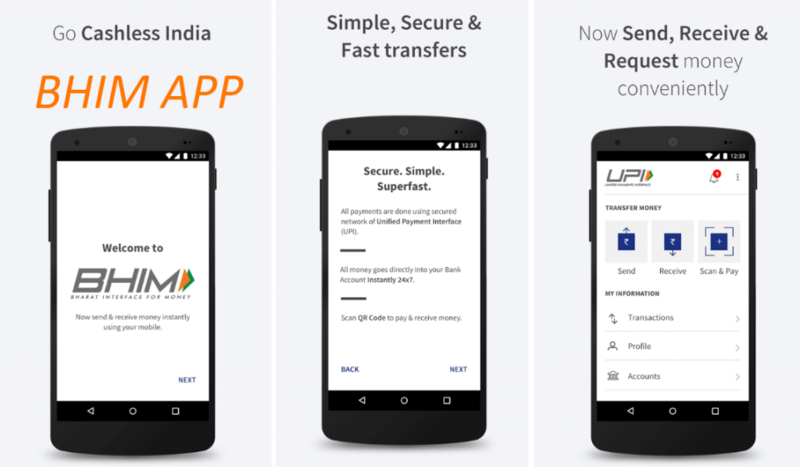 The PM on Friday launched a new app that serves as an e-wallet, which is most likely to work just like any other money transfer e-wallets. 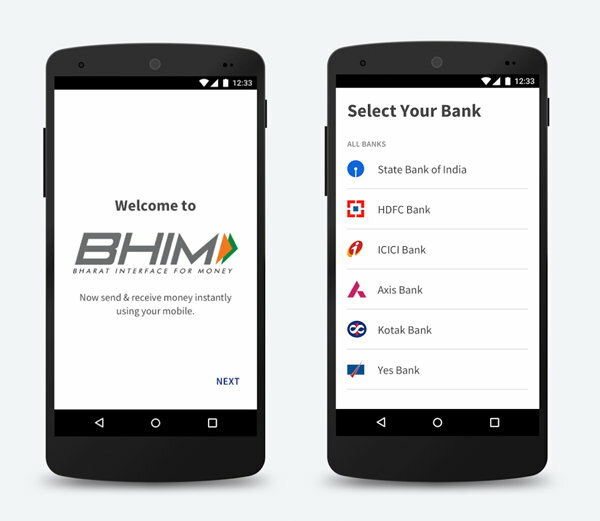 BHIM (Bharat Interface for Money) application will enable you to have a fast, secure and trustworthy platform to make all the cashless payments through your mobile phones. BHIM being developed by National Payments Corporation of India (NPCI) will give you a platform where you can link with other Unified Payment Interface (UPI) applications and banks. This application is targeting masses where everyone can use this app without any problem and have a reliable source to make cashless payments. Let’s have a look at 10 things that you should know before you use BHIM for sending or receiving money. As a reader of this article, you will be able to get a grip on almost all the details that one should know about it. 1. Android and iOS version: Android version of BHIM has already been deployed on the Play Store and can be downloaded for free here – BHIM on Play Store. However, an iOS version is yet to be launched and it will be available on the apple store soon. 2. How does BHIM differ from PayTM? : PayTM has been in the market for a long time now and yes, it has provided its users with a lot of convenience. However, BHIM offers you a much easier interface than what PayTM offers. Minimal options to go through and helps in better understanding of the user and makes the payment process easy. 3. Need of virtual e-wallet: BHIM offers an ease of transferring and receiving money straight from bank and to the bank. You don’t need to add funds first to the wallet. You can simply make direct payments. 4. Reliable source: BHIM has been launched by central government. Who else would you trust more? You money will be travelling through safe wires and delivery of genuine services is inevitable. 5. Availability: The platform is available 24/7 and 365 days. You can have your hands on the app at any point of time. Thinking about what time is it? Is not an issue anymore. 6. Link your Aadhaar Card: You can simply link your Aadhaar card with BHIM, which will later on help in better identification of authenticity of the customer. This will eventually improve the point of sale. It will definitely take economy towards a stronger bond with digitalization. 7. Future prospective: All of what BHIM offers, it is evident that it is dedicated towards providing the audience a better and easy way to perform the transactions. It frees the public from tax, made from MasterCard and Visa payments. Eventually plastic cards dependency will come down to a level, equal to the lowest. Reliability of this source will gather masses and a vision to have a digital economy will be achieved soon. However, there are few drawbacks, which can be solved in future. 1. Linking Bank account: You can link only one bank account to BHIM. Even if you have 2 or more bank accounts, you can’t link them all. 3. Slow transactions: At the moment, systems are slightly overloaded, which is slowing down the transactions. This is expected to be sorted out in the coming days, though. There are many other things that we expect from BHIM app. Prime Minister Narendra Modi said in his speech on Friday. ‘A day will come where you will only have to use your thumb to make or receive payments, without depending upon any other source’.